Looking for an Experienced Residential Roofing Repair Contractor Serving the Collinsville, IL Area? Turn to Daech & Bauer Roofing. 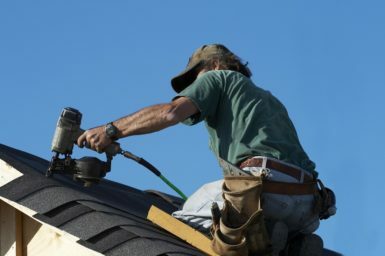 Having provided complete residential roofing repair and replacement services for many years, Daech & Bauer Roofing is the contractor that homeowners throughout the Collinsville, Illinois area rely on when severe weather hits their homes. We have completed more than 10,000 projects since our company was founded, and our staff goes above and beyond to ensure each customer is completely satisfied with the work we do. Once the claims process has been completed, our certified technicians will work quickly and efficiently to ensure that the roof is returned to its optimal condition. We utilize products from the top manufacturers in the industry and can repair many different types of roofing materials, including energy-efficient shingles, slate, tile, metal, cedar shakes, and more. If you would like to learn more about the residential roofing repair services we offer to homeowners in the Collinsville, IL area, contact Daech & Bauer Roofing today. One of our representatives would be happy to schedule a consultation or answer any questions you have.